The Benefits of Grass Fed Beef – The Best Food and Lifestyle Blog Online! The Best Food and Lifestyle Blog Online! Grass-fed beef nutrition entails allowing your animals to graze and also forage so as to acquire their own nutrients. It’s actually a kind of a traditional cattle rearing practice that is trusted for the quality meat. Notably, the kind of food that the cattle takes in will actually dictate the leanness, quality and also the nutrients contained in the meat. There is always an advantage when the beef cattle take in natural nutrients since all these animals are naturally vegetarians and they will always rely on grazing for their nutrition. The only additives that might be given to supplement may include the alfalfa in some seasons such as the winter so as to supplement the diet but it always ensured that it’s an almost natural supplement. Grass-fed cuts do really contain very high proportions of the conjugated linoleic acids. Research has really proven it to have 300% more linoleic acids than other substitutes. When you feed your beef cattle with this amazing food, it means that the quality of the meat that you will get is rich in linoleic acid content that has amazing health benefits to the humans! Firstly, the CLA actually minimizes the risk of heart diseases and also cancer. It is also a fat burning content that will actually ensure that the individual stay fit all the time since the lean body mass is maintained! Omega -3 fats are actually a rare type of fats that are commonly found in the oily fish. Grass-fed beef does contain 3 times omega 3 contents than grains fed beef. The meat that we get from the grass-fed beef is rich in these good fats that have greater benefits in our bodies that do give a health advantage. The merits include the lowering of the blood pressure, gaps issues associated with depression as well as preventing cancer! Vitamins do really offer amazing health advantages especially in improving the immune system! 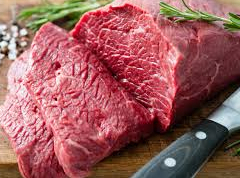 Grass-fed beef does contain large amounts of the vitamins such as the vitamin E and the vitamin A. These vitamins are actually the best for improving the functioning of the immune system. When the immune is well taken care of it means you are assured of the good health of all organs including the skin and also the eyes. It’s really a rare advantage that we get out of the beef meat. Grass-fed beef does contain rare nutrients such as the carotenoids. These nutrients are actually fetched from the green pigments of the grass. Carotenoids such as the carotene are really very important as an antioxidant in our bodies. The grass fed beef is really rich in this antioxidants and your health will enjoy these benefits from the grass-fed beef. Notably, the grass-fed beef contains healthy fats that are actually useful to the body than the grain fed beef. Grain fed beef does have a large volume of fats that can actually clock the arteries that will, in turn, cause the heart disease. With the grass-fed beef, this problem is really taken care off and there is no risk of such issues. To conclude, it’s really worth rearing the grass-fed animals since it’s actually a traditional way that will really supply the natural contents into the consumer’s system and therefore it possesses to health hazards! Though the process might be time-consuming, it does offer a greater range of advantages and takes care of the reputation that is always associated with the grass-fed beef!